While most of us in the retail space are busy sifting through the data of two new reports this week: 2011 Global Retail Theft Barometer and 2011 National Shrink Study (from University of Florida), a new, more startling study has been released that will turn the retailing world upside down. 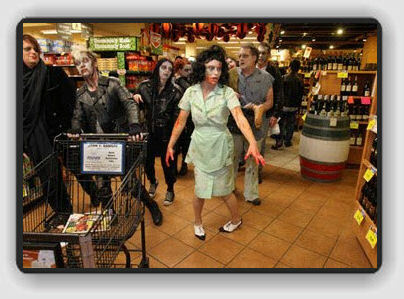 In light of the recent events impacting our world, Agilence commissioned this study to help retailers understand the impact that the Zombie Apocalypse will have on their sales and marketing efforts in 2012. All retailers are urged to read this paper and follow the recommendations set forth before it's too late.